In the post below I'll summarize the contents and status of some of my requests under the Freedom of Information Act (FOIA). I'll also share some links I hope you'll find useful. I submitted a rather lengthy and detailed request on Joint Security Control (JSC) records from 1946-47 pertaining to deception operations, among other items. The request was filed Sep. 6, 2016, to the National Archives and Records Administration (NARA), which quickly issued a negative response Sep. 27. An appeal is currently pending. At his blog Anachronism, James Carrion made a series of posts in August and September of 2016 in which he explored the JSC and its implementation of deception operations during the 1946-47 time frame. The era was of course a boom for what became high profile UFO cases. James called on researchers to join his attempts to further understand details of circumstances surrounding the JSC. I deemed it a worthy request, given the existence of declassified documents establishing that the U.S. intelligence community explored the topic of UFOs as a psychological propaganda and warfare tool. [Y]our request consists of topics rather than describing specific documents, and therefore is not reasonably specific enough for us to be in a position to easily locate documents responsive to your request. A preliminary search of the finding aids that are available to us reveals that your request could contain information in any one of 4 record groups. I appealed the response, citing the existence of documents already establishing the purposes in creating the JSC included the design and implementation of deception operations. That being the case, I requested further consideration be given to how a researcher might otherwise learn about such established operations than request their files. The appeal was submitted in October and I am awaiting a response. Here's how you can help: Submit FOIA requests on the JSC. Several additional docs establishing JSC involvement in deception operations may be found in posts by James. I encourage you to cite such documents, and request files on the specific operations referenced therein. Requests of this nature might best be submitted to the National Archives and Records Administration due to the age of the records. You may file via email at specialaccess_foia@nara.gov and learn more here. For those unfamiliar with the process, a sample FOIA letter is provided at the bottom of the page linked. Whatever the JSC operations may have involved, I see no good reasons researchers should avert from further study. Even those who suspect the government intentionally covered up an ET presence and/or UFO-related data should seek supporting evidence in files of the JSC, a high level unit specifically tasked with controlling and classifying important information. I encourage you to submit requests and seek answers. Let us know how it goes! After conducting a search reasonably calculated to uncover all relevant documents, we did not locate any responsive records that would reveal an openly acknowledged CIA affiliation with the subject. I think that's a reasonable ruling, all things considered. Much more so than the response to the original FOIA request in which CIA Information and Privacy Coordinator Michael Lavergne indicated it could be difficult for him to identify files on who I was asking about. 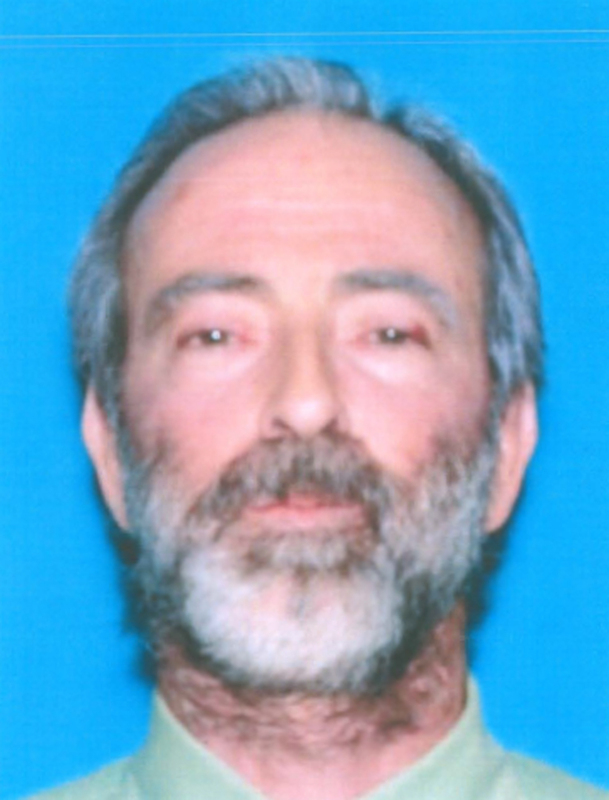 Of all the agencies, I'm probably most disappointed in the LAPD lack of transparency in its investigation of the case. I find it particularly concerning when we can't count on police departments to help clarify actuality. The Loveland (Colorado) Police Department, for example, was very helpful in 2014 when I requested files on Stan Romanek's claims of being assaulted. In relatively short order I was provided records indicating detectives strongly suspected Romanek staged the scene of the alleged assault. The last line out at this point on Lash is to the FBI. The Bureau is yet to rule on my appeal of its initial response of having no files on Jeffrey Alan Lash. I've so far filed a total of six FOIA requests on the Gulf Breeze Six, four in February and two more in March. 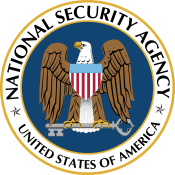 Two were sent to the NSA and Army Office of the Inspector General. I requested a Mandatory Declassification Review of the file referenced by Philip Coppens. The late writer and researcher explained how 1400 of the file's 1600 pages were originally withheld, so I'm hoping more of it will now be declassified and released. Requests were also submitted to the CIA and FBI in the hopes relevant records will be declassified. Both agencies were reported by newspapers to have been involved in the detention and interrogation of the six. I invited consideration the group became public figures, as such status may in some cases result in making more information available. All of the requests included supporting materials. The FBI is the only agency to respond as of yet. It declined to release any records, suggesting more evidence of public notoriety was required. 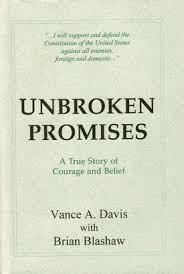 I replied, offering copies of web pages that establish Vance Davis (of the GB6) wrote a book about the ordeal, spoke publicly at conferences, conducted written and live interviews, and that the saga was widely covered by the media, among other citations provided. I'm awaiting a ruling on the appeal. The final two FOIA requests were inspired by a discussion at Above Top Secret and submitted to the NSA and Army IG. I requested copies of the original mysterious message and accompanying photos sent to the Army and media outlets as reported in a story published in the Aug. 16, 1990, edition of the Gulf Breeze Sentinel and titled, Did mysterious note influence release of Gulf Breeze Six?. From the Gulf Breeze SENTINEL, August 16, 1990. Brief article entitle [sic] "Did mysterious note influence release of Gulf Breeze Six?" showed up in Gulf Breeze, were arrested by the FBI, were taken to Fort Benning and Fort Knox, and then were released with General Discharges, has here-to-for not been shared with the general public. note presumbably [sic] sent to the US Army and all the major TV networks and wire services demanding the release of "The Gulf Breeze Six." The note was accompanied by two photographs [Ed. note: of circular objects in the air that some people might refer to as "UFOs", which I cannot repreoduce. (sic)] and threatened the release of "500+ photos and plans you want back... unless they are released.."
The note ended "Answer code AUGSBB3CM"
The Sentinel two days before the announcement that the Gulf Breeze Six were discharged from the Army and released. The photos shown here [Ed. note: Well...*there* anyway.] are courtesy of Les Sinclair at WALA TV 10 and appear to be the same ones sent to WEAR. Free the Gulf Breeze Six. We have the missing plans, the box of 500+ photos and the plans you want back. Here is proof with close-ups cut out. Next we send the closeups and then everything unless they are released. You may submit FOIA requests online to the NSA. Requests to the Army IG may be submitted via email, and you can learn more at the website. Let us know how your FOIA efforts go, if you bear any results, and related thoughts. Happy hunting! In January I did a post, NSA UFO Docs. One of the declassified files explored was an NSA draft titled, UFOs and the Intelligence Community Blind Spot to Surprise or Deceptive Data. The draft could be interpreted a number of different ways, but in this context I'd like to consider how it was composed by an NSA employee at least seeming to be quite convinced of the "strange nature of the [UFO] phenomena," and its potential for rendering witnesses psychologically devastated. We could reasonably conclude the draft, which was written sometime between approximately 1958 and 1979, was lacking meaningful citations and scientific merit while containing perspectives typically found in the UFO community, for whatever reasons. Also explored was a doc that has come to be known as the Yeates affidavit. Dated 1980, it contains the testimony of NSA man Eugene F. Yeates about various UFO files, including one he described as an account of an NSA assignee about their attendance at a UFO symposium. On a side note, I filed an FOIA request to the NSA for the report and am currently awaiting a response. The late Philip J. Klass speculated the author of the report was Tom Deuley, a retired career Navy man, former NSA employee, and longtime member of the MUFON Board of Directors. 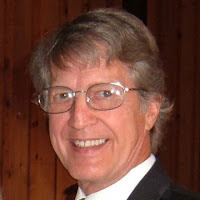 It was "almost certainly" Deuley, Klass wrote, noting that Deuley spoke publicly of meeting with NSA administrative officials about his plans to attend a MUFON conference in Dayton, Ohio, shortly after he was assigned to the Agency in 1978. Whether or not Klass was correct, I believe the point is well made the NSA culture was UFO and paranormal tolerant, if not friendly, as Deuley was indeed an NSA assignee and MUFON director. It is a reasonable statement that the intelligence community, in general, attempted to better understand, manipulate, and weaponize subject matter surrounding reported UFO and psychic phenomena. That is the case in contradiction to the more widely held public perspective that the IC debunked the related claims. Intelligence agencies were actually deeply enmeshed with the topics, whatever the combinations of purposes may have included. 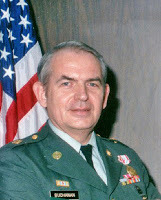 The career of Maj. Gen. Albert N. Stubblebine III spanned from a 1952 graduation from West Point to his 1984 retirement as the Commanding General of the Army Intelligence and Service Command (INSCOM). 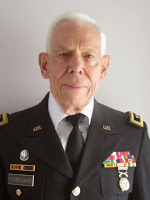 A member of the Military Intelligence Hall of Fame, Stubblebine was credited with completely redesigning the intel structure of the entire U.S. Army. Stubblebine's more recent ventures include operating the Natural Solutions Foundation, a nonprofit corporation co-founded with his wife, Rima Laibow, MD. Dr. Laibow is a former advocate for alleged alien abductees and the use of hypnosis as a memory enhancer. At Natural Solutions Foundation, the couple are, by any definition, promoters of extreme conspiracy theories, including those surrounding chemtrails and vaccinations, which, the two say, are part of the "big plan" to turn children into autistic worker drones. Mind control operations are also involved, according to the couple. Laibow asserts as a "fact" that "Natural Solutions Foundation is so effective in our opposition to the Powers That Be that a serious attempt was apparently made on my life..."
Before conducting an all out campaign against the PTB, Maj. Gen. Stubblebine of course was the PTB. He was also credited with inventing Remote Viewing along with his explorations of such topics as neurolinguistic programming and psychic spoon bending. "Stub" and his longtime colleagues, which include Col. John Alexander, are as much parts of UFO and paranormal lore as Travis Walton and Whitley Strieber. Enter Sgt. Lyn Buchanan. It was in 1984, while stationed at the U.S. Intelligence Field Station in Augsburg, Germany, that Buchanan was recruited by Stubblebine into a Remote Viewing unit. He caught the attention of Stubblebine following what Buchanan described to me as a "psychokinetic" computer-related anomaly. According to Buchanan, Stubblebine was hoping to harness Buchanan's psychic potential to "destroy enemy computers - then later learn how to simply control the data and programming within them." Buchanan considers himself an alien abductee, as he explained to me in the linked interview. 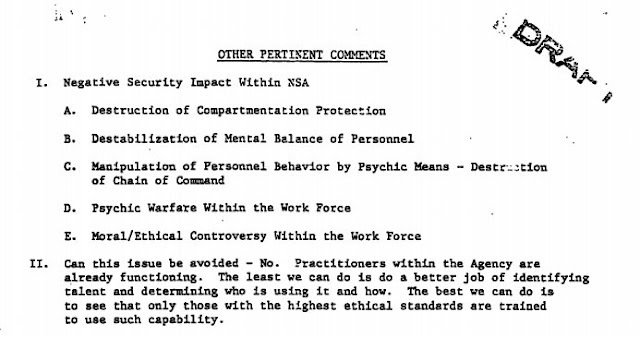 By the way, the first doc cited at the beginning of this post, Parapsychology: The COMSEC Threat and SIGINT Capability, references dynamics surrounding electronic psychic warfare as described by Buchanan. Topics mentioned in the doc include "Telekinetic Manipulation of Circuitry" and "Telepathic Manipulation of Operator to Induce False Message." It was just six years after Sgt. Buchanan's computer incident at the Augsburg Field Station that the base served as a temporary home to the Gulf Breeze Six. It was there, from Stubblebine's former stomping grounds, that the crew of NSA intelligence analysts reportedly took up hypnosis and Ouija board sessions in attempts to communicate with mysterious entities and religious icons. The group then went AWOL in 1990 to travel to the home of a self-described psychic residing at a UFO hot spot, Gulf Breeze, Florida, hosting a MUFON symposium at the time. Perhaps such circumstances show us the evolution of woo pedaling in intel circles. Stargate, CIA psychic spies and many examples could be cited for consideration. Perhaps such incidents indicate something more, whatever it may be. A reasonable argument could be made that combinations of explanations apply to the IC long history of interest in fringe topics and communities. Any way we choose to look at it, one might question why the underlying issues do not receive more attention, and particularly sincere, objective consideration, from both the skeptical and pro-paranormal aspects of the UFO community. [I]n early 2015 the British army announced the formation of the 77th Brigade, a unit of 1500 troops The Guardian dubbed “Facebook warriors.” The soldiers are charged with carrying out unconventional, “non-lethal warfare” and executing psychological operations through the use of social media. Israeli and US armies engage heavily in such operations, with the Israel Defense Forces reporting activity conducted in six languages on 30 platforms, including Twitter, Facebook, YouTube and Instagram. It would be difficult for me to believe the UFO community did not serve in some capacity in the research and development of such psyops, or, at the least, I would doubt the community was exempt from effects of the evolution of such projects. As a matter of fact, in his hard hitting 2015 piece on how the US intelligence community drove to dominate the world through information control, Why Google made the NSA, investigative journalist Nafeez Ahmed referenced ufology's favorite CIA consultant, Col. John Alexander. Specifically, the targeting of civilian populations for information war.